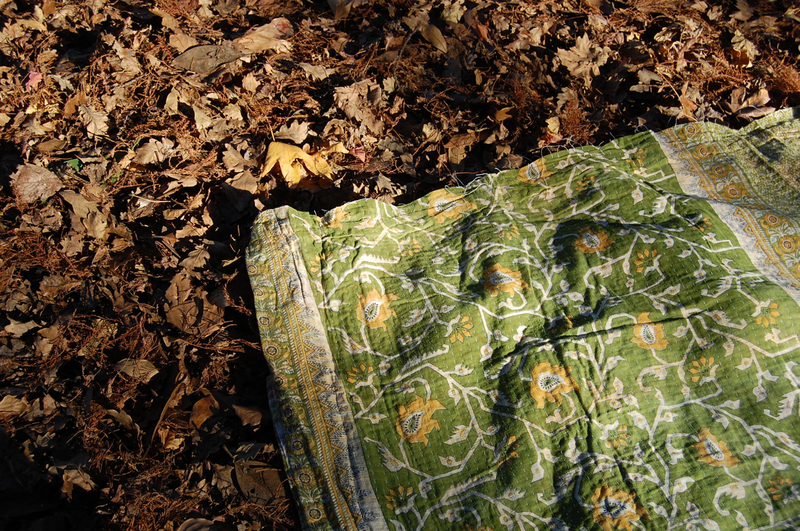 Soft, delicate and demure. 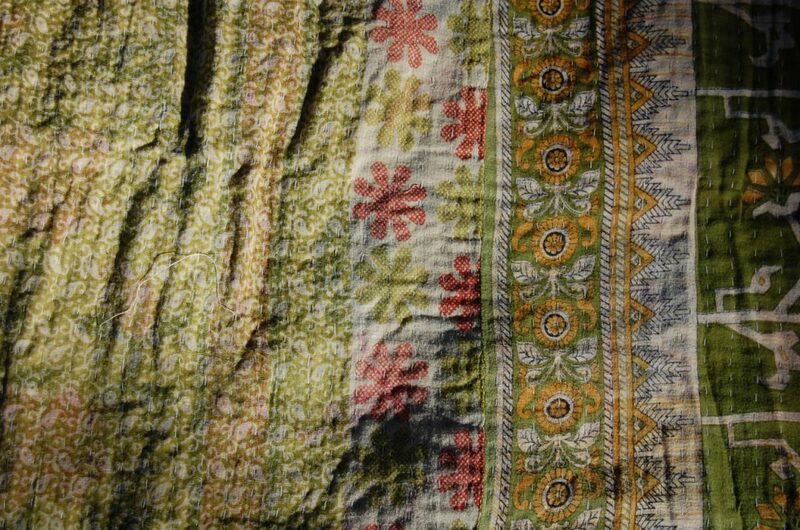 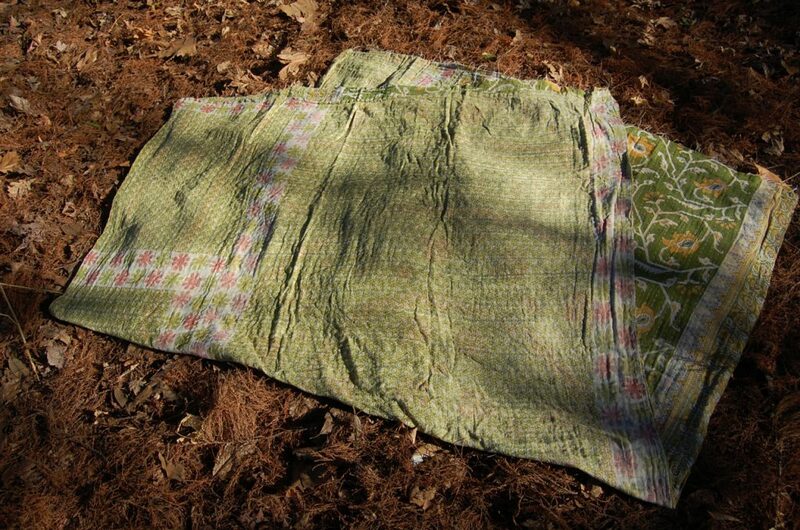 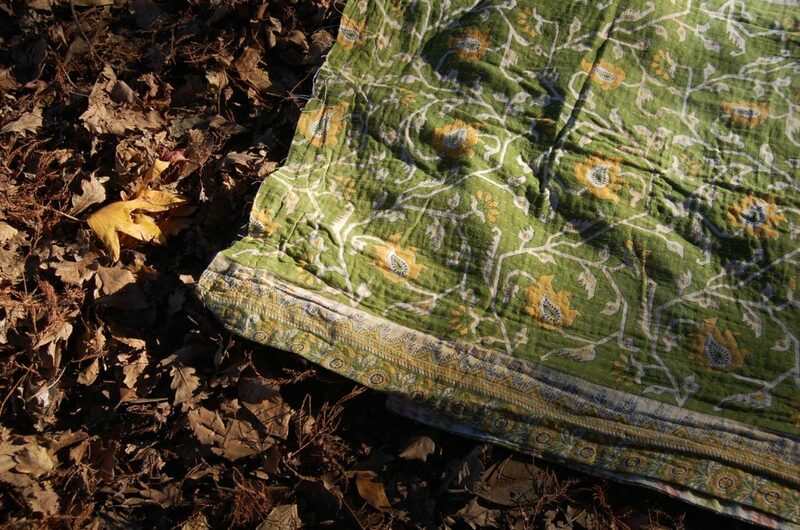 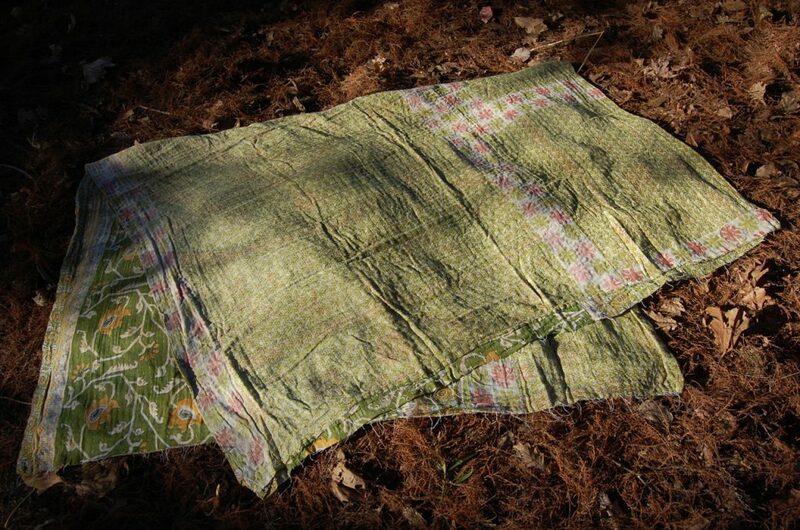 Detailed prints of Kashmir’s vintage fabrics in olive make for really personal gift, something to be cherished. 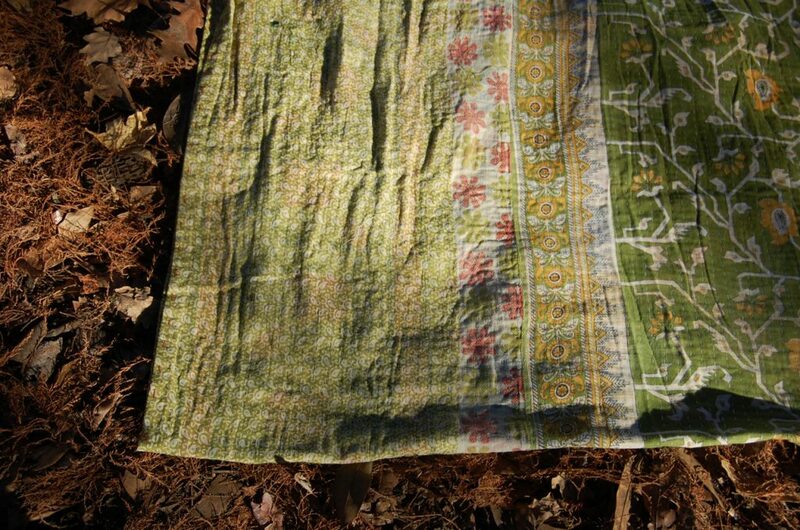 All 100% handmade by women of India, carefully hand-stitched from beautifully soft cotton saree cloth. 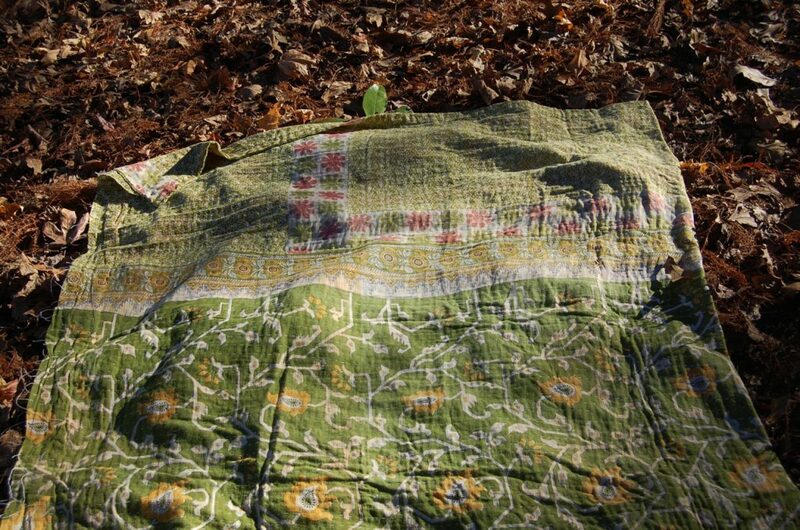 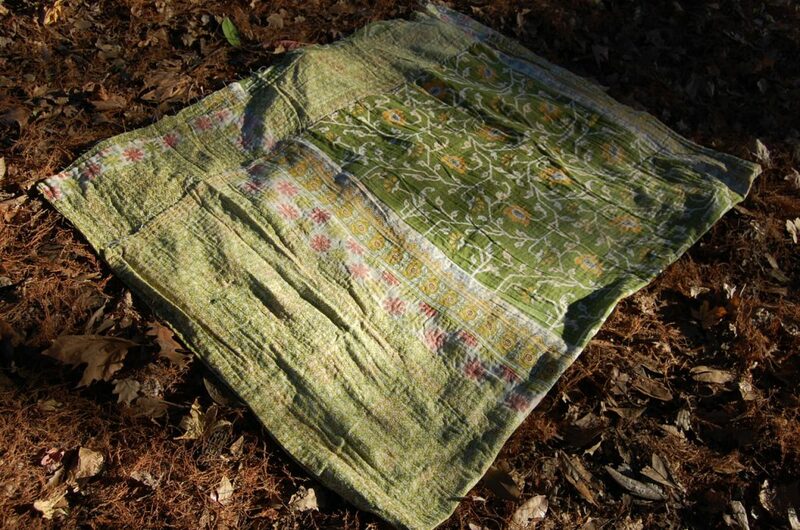 One of our best summer lightweight throws from The Kantha Project.